What a great weekend to be in New Hampshire - a few beautiful, hot, summer days, just the way it should be in July. 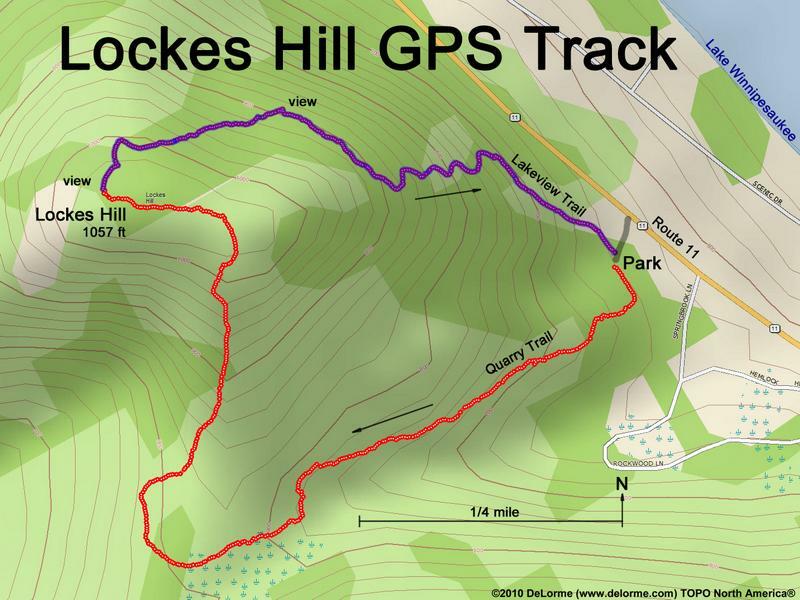 It was a bit hazy, but not too humid when we took a short hike up Lockes Hill, right off of route 11 in Gilford. 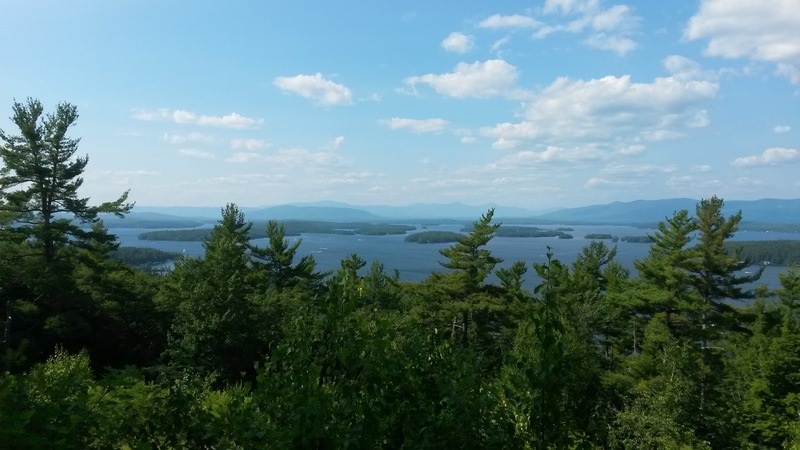 It's a nice easy hike, less than two miles and only a few hundred feet of vertical, but there are nice views of Winnipesaukee, blueberries at the summit, and a neat set of rock-in chairs along the trail called the "Lake View" trail. A dozen chairs made of NH granite - with a view! One other great feature - you drive right by Sawyers Dairy Bar on the way home. You always need ice cream after a good walk! I didn't have any more loon chick sightings since my post on Thursday, but I had reports today that both Liberty and Freedom are still doing well. The parents are even leaving them alone on the surface while both adults dive for food. It must be a challenge finding enough tiny minnows to feed two growing chicks. The blueberries around Lake Wicwas are ripening now, and the birds and chipmunks are feasting happily on them. I was surprised to see the birds are also eating the black cherries while they are still completely green. They are picking off every last cherry long before they have any chance to ripen. There won't be any cherries left for the bear this year. This week I was greeted by several amphibians near the lake. This Pickerel Frog met me two mornings in a row right in the same spot. It must be a hot location for insect catching. This American Toad was lying in wait for its breakfast to wander by its hiding spot beside a stone wall. With apologies to the more squeamish viewers, the hot weather brings larger and more interesting insects. Grasshoppers are abundant and growing bigger by the day. Soon they'll be as big as your finger. And spiders are popping up everywhere. I'm sure none of these summer creatures will mind if we are treated to a lot more hot, humid, serene summer mornings; I know I won't mind!